Sewing rulers is a must have sewing tool for any perfect design. When you sew and quilt, rulers are not just any tools in your giant toolbox, they are treasures. 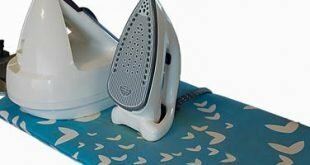 If you need to get one, this sewing rulers reviews will help you narrow down your options from the many available. I’ve gathered some of the best sewing rulers (Acrylic to be precise) based on experience, durability, and purpose. If you’ve ever used any other Fiskars sewing and quilting accessories, you’ll know it’s more than just a brand. What makes a ruler the darling for the user is the measurements and Fiskars got it perfectly right with this sewing ruler. Being a 6” by 24” sewing ruler, you can take your measurements and cut right from bolt especially squares and fabrics strips. Zero worries if you plan to make a perfect angle cuts, just trust either of its 30, 45 and 60-degree cutting rulers. Concerned about the thickness? 3mm acrylic will ensure it last longer than any other sewing ruler you have in your toolbox. There’s no rubber bumper but slipping off the work desk will not be an issue. One recurrent concern or issues we got from feedback is the size. Indeed, 6 by 24” is far from small, you need to be sure it’s the right size for your sewing and quilting table. Outside of that, the big size is still an advantage if what you do is on a large scale. This is most suitable for the large-scale task of quilting, working on a large fabric, cutting or sewing table. It’s a combo pack sewing and quilting rulers by Skyhawk. There’s always going to be one of the four that’ll work for your different projects. In essence, you are availed multiple choice of sewing rulers. What will always catch your attention in these combo rulers and its distinctive measurements in crystal clear prints. You can call this an anti-glare sewing ruler as it goes gentle on the eye whether you are working on bright or dark materials. The durability of the combo sewing ruler should not be in question as it is a product of premium acrylic materials. There’s a high level of precision and accuracy when it comes to these rulers, they are computer generated. There’s little to point out as cons aside from the muddled-up lines in two of the other rulers. Aside from that, these are a great set of rulers that save you time and guarantee high-level precision. If you are looking to invest in a set of rulers that’ll serve multiple purposes like scrapbooking, quilting, sewing, you should consider Skyhawk’s. Cottage mills might be pretty a new player when it comes to sewing rulers, their first attempt is indeed not a bad one. What was intended and achieved is a ruler that is the favorite of every sewing and quilting enthusiast. Just think of this as the sewing ruler that you can have with you anywhere, with just 18” long and 2” in width. The thickness of the ruler at 0.125” ensures it doesn’t break with every fall. The thickness of the acrylic ruler makes it easy to use with a roller and straight cutters. Unlike any other sewing ruler, there’s a silicone knob that makes picking and adjusting of the ruler a breeze. Being a non-slippery ruler, it’s quite difficult keeping it in place. Overlooking this only shortcoming, Design Acrylic Ruler by Cottage Mills has gained acceptability and a growing popularity. Get ready to create beauty with the designs made using this 5” by 5” sewing and quilting ruler. Made with quality materials and a patented double colored design that creates clear lines both on light and dark shades. You are sure to always arrive at a precise measurement with the ½” seam allowances which is suitable for quilters. Whether you use your right or left hand, this ruler is made specifically for ambidextrous (meaning you can do your measurement from left or right). Getting a straight and accurate cut should not be a hassle as it is made from laser-cut acrylic. If you’ll be using for other craft, cleaning off after every use comes with ease. Just a droplet of detergent and wipe will give you a sparkling clean ruler. One last call is the cons. Even though it is made for quilters, the measurement is not in even numbers as most quilt patterns rely on even numbering. 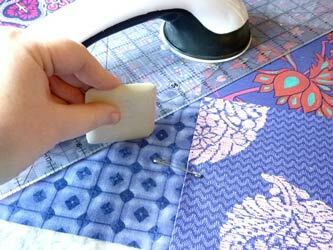 Looking past that, it is good for all craft but majorly works as a quilting ruler with a cheaper price tag. A case of saving the quilter’s own for the last. If you do a lot of short strips and sashing as a quilter, having this ruler will make your work easier. Take your mind off how easy it will be to do seam allowances. You just got the right tool. On the left and right of this ruler, there’s a numbering system and this includes angles. 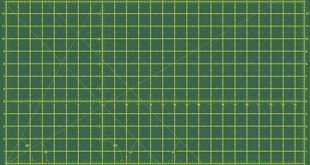 If you want to get out of your phobia for a triangle and diagonal cuttings, just keep your Ominigrip Non-Slip ruler close by. With the ruler, you can make your 30, 45 and 60-degree angle measurements and cuttings. It cannot get easier than this. No need to keep in your toolbox also, there’s a hanging hole for storage. For beginner quilters, this is definitely not their ruler. Go for something bigger and longer. But for professionals, the smaller the better. That’s why this is the right choice for quilters. There’s a lot of rulers out there but there are only a few that does its job without a headache, they are those we’ve selected and reviewed. As a quilter, just make up your mind and settle for Omnigrip Non-Slip Ruler. If you are a fan of numerous crafts including sewing and quilting, Skyhawk Combo Rulers will fit the bill. Looking for value for your money or cheap option the Arteza Acrylic Quilters Ruler is one to consider. Remember that your sewing and quilting rulers are treasures, that’s why you need to treat them as such. 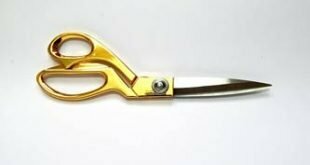 Previous Laser Guided Scissors for Fabrics – Is It Worth It?